Can I Configure Salesforce Adoption Manager to Send Emails to a Specific Group of Users Only? No. 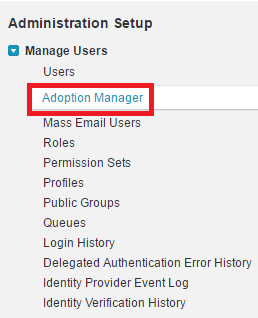 When you enable Adoption Manager, it’s turned on for all users in your org. But users can opt out of receiving future messages from the footer of any email from the program. 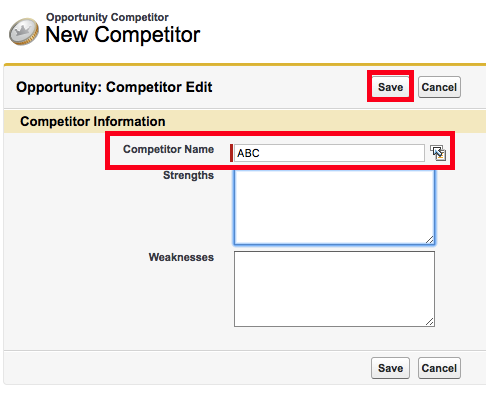 How to enable and disable Salesforce Adoption Manager? 1. 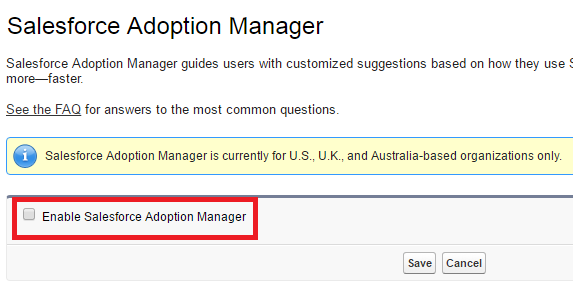 Go to Manage Users --> Adoption Manager. 2. 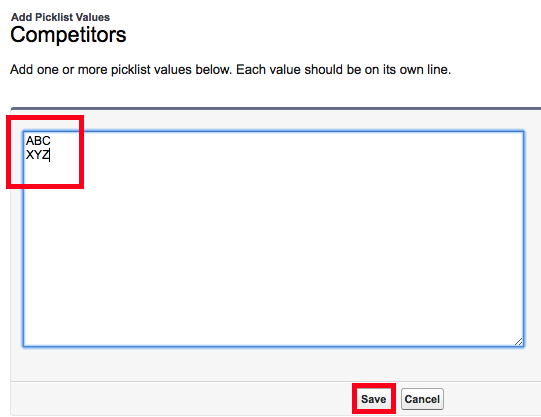 Check or Uncheck the check box to enable or disable Salesforce Adoption Manager. 4. Go to an opportunity record. 5. 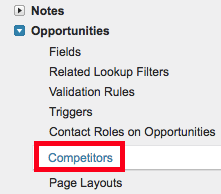 Click New button in Competitors related list. By default, users with the Manage Articles permission can perform all the actions like edit, delete and publish. 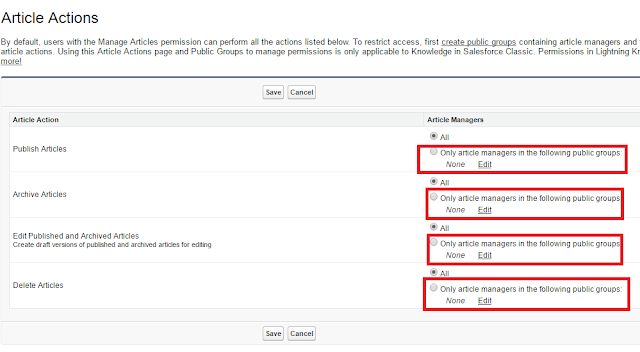 To restrict access, first create public groups containing article managers and then use this page to assign the groups to specific article actions. 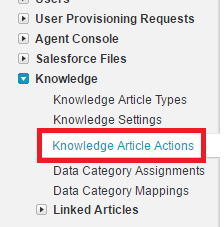 Using this Article Actions page and Public Groups to manage permissions is only applicable to Knowledge in Salesforce Classic. 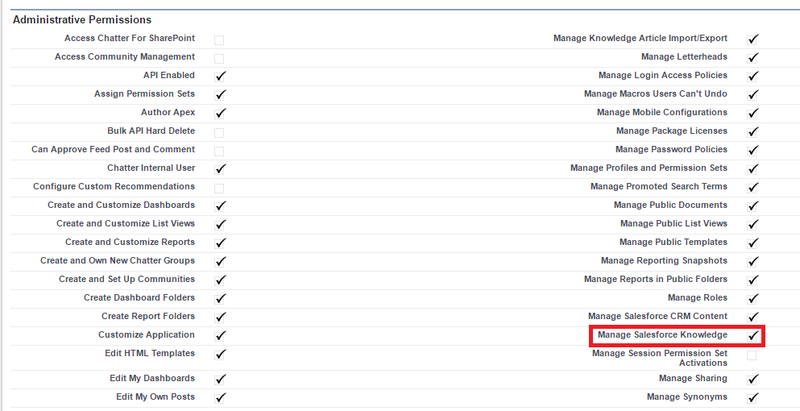 Permissions in Lightning Knowledge are managed via Profile permissions. 1. Go to Article Actions. 3. Create public groups for required actions and set it up. Select public group for each actions to have users in the public group to do these actions. 1. Go to User Interface. 2. Disable "Enable Enhanced Profile User Interface". 3. Manage Salesforce Knowledge permission will be under Administrative Permissions. This is not available under System Permission in enhanced profile view. Quickly turn your mobile employees into Salesforce1 power users with SalesforceAdoption Manager. This tool trains and engages your users with intelligent email journeys aimed at driving adoption of the Salesforce1 mobile app and the Lightning Experience. After inviting users to download the mobile app, Adoption Manager follows up with tips that help users get the most out of Salesforce1. It also encourages dormant Salesforce1 users to try using the app again. After you activate the program, Salesforce Adoption Manager begins targeting content for users regarding Salesforce1 and the Lightning Experience. All emails are optimized for desktop and mobile devices. If users access the email from a desktop, they can text a link to download Salesforce1 to their mobile devices. After users downloaded Salesforce1, they receive emails based on their actual usage of the mobile app. These emails suggest top actions to take and also keep track of actions already taken. The goal is to get users up to speed with Salesforce1 so your company can start realizing more benefits from the product. Salesforce Adoption Manager also helps your users capture the power of the Lightning Experience by highlighting key Lightning features that drive productivity and help close deals faster. 1. What is the complex organization setup that you have done in your SFDC implementations? 2. What is the challenge you faced while doing this complex org setup? 3. Apart from trust IP, IP range, and hours, have you done any security policies? How it was done? 4. Any chellenges that you faced during Data migration from legacy CRM to SFDC? Data loading taking longer time than normal. 5. What is the complex visibility access that you have done by using Profile & Permissionset? 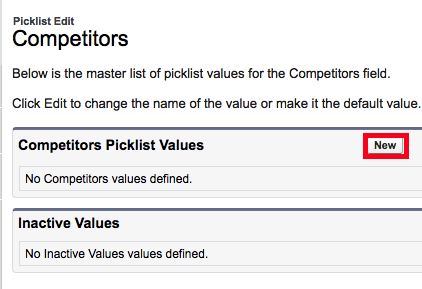 Setting Profiles for Partner Users and Knowledge users. 6. Is there any complex integration have you done? how it is complex and challenges? Integrating Salesforce with Work Day for user managment. 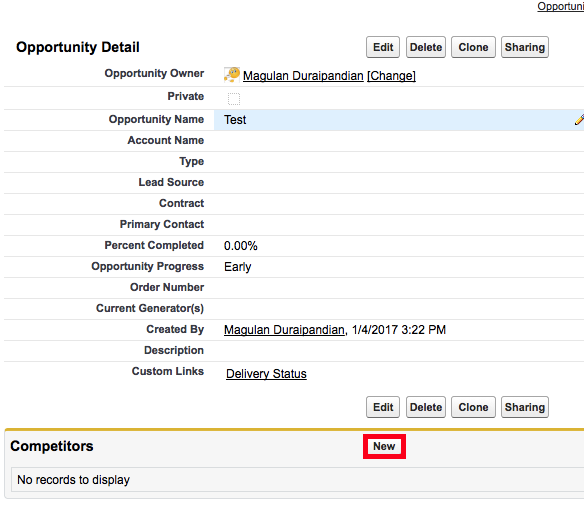 Integrating Salesforce JIRA for case management. 7. In which situation you use SOAP API and REST API? 8. For a simple implementation where scope is revovles around out of the box service cloud functionalities, how much man effort required to do the implmentation? 9. 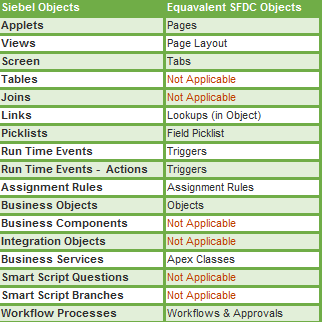 What is the pros & cons of using siebel and SFDC? No mobile support in Siebel. Responsive UI is possible using Lightning in Salesforce. 10. Is there any limitation in SFDC compare to Siebel? 11. Is there chance you by-pass governor rule? how u handled that? 12. How did you approach SFDC implementation? Fundamental step is to ensure the business investment in new software and processes reaps great rewards long term. 13. How did you approach SFDC solution? Since SFDC is the best Cloud based CRM solution. 14. How to design datamodel for SFDC? 15. How you design a datamodel against Siebel datamodel for conversion project? 16. For which kind of client you suggest for Lightning as is not fully developed? More customised application which has VF pages. 17. How many lightning component you suggested? It depends up on the requirement. 18. How you do deployment? ANT or Continuous integration tools. 19. Is there Continuous improvement environment? Yes. GIT and Jenkins can be used. 20. Who plan and design the sand box? How many sand boxes? One for development, one for SIT, one for UAT. 21. Is there any Complex extensive APEX code you have done? what for? REST API request from external 3rd party application. 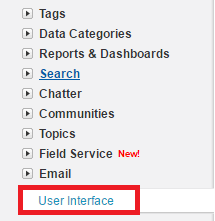 How to enable the Shared Activities Feature in Salesforce? 1. Go to Activities Settings. 2. 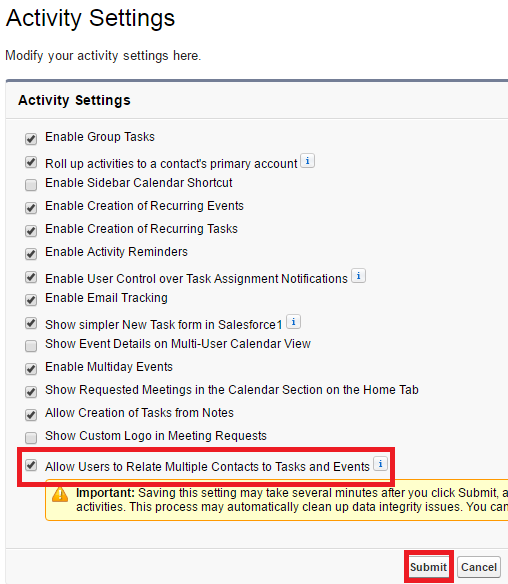 Enable "Allow Users to Relate Multiple Contacts to Tasks and Events" check box. 1. Difference between Salesforce classic app and lightning app? Similar to apps in Salesforce Classic, Lightning apps give your users access to sets of objects, tabs, and other items all in one convenient bundle in the navigation bar. However, Lightning apps take things to a level beyond Classic apps. Lightning apps let you brand your apps with a custom color and logo. You can even include a utility bar and Lightning page tabs in your Lightning app. 2. What can you put in the Lightning app navigation bar? 3. What is the difference between Desk.com and Service Cloud console in Salesforce? 7. How to automate creation of sandbox in Salesforce? 11. What is the purpose of Protected custom settings? Setting the visibility of the Custom Setting Definition to “Protected” and including it in a managed package ensures that it’s only accessible programmatically via Apex code that exists within your package. Unlike custom metadata types, custom settings can be updated at runtime in your Apex class, but cannot be updated via the Metadata Api. 12. What is granular locking ? 14. What is the Apex Crypto Class? ROW_LOCK issue is very common if you have multiple users updating the record at the same time .Or say a batch job is running and is updating a record and same record another trigger or code snippet (usually a future method) is updating. Using FOR UPDATE keyword helps to achieve a lock a client end to prevent this locking issues . How to check object level security within a Visualforce page in Salesforce?